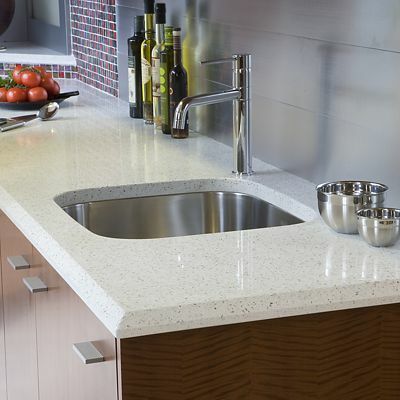 With six locations that carry a broad range of countertop materials, Kitchen Views will help you to select the kitchen or bathroom countertop that fits best in your space. 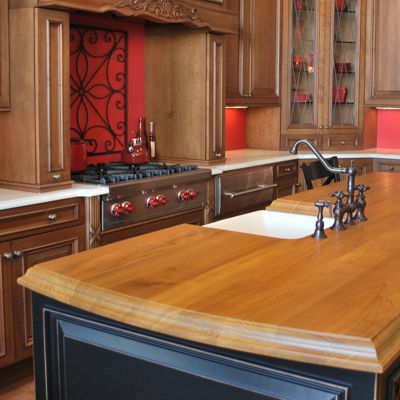 We suggest reading our 8 page Design Guide, which outlines the benefits and limitations of various countertop materials. Don't forget about the backsplash! They can simply match the countertop or be decorative. Your Kitchen Views designer will help you to sort through the nearly endless options available to you for personalization of your home. In addition to stones such as granite and marble, and composites such as concrete, there are synthetic countertop materials and back-painted glass for you to consider. Many more choices are available. Ask your Kitchen Views designer when planning your kitchen. Kitchen Views recommends Craft-Art products, which are manufactured in Atlanta, Georgia. A wide variety of wood species are available, from domestic woods, sustainable woods, exotic woods, and modified finishes. There are green options ranging from recycled synthetic materials, like the IceStone countertop shown here, to reclaimed wood for you to consider when selecting a countertop.